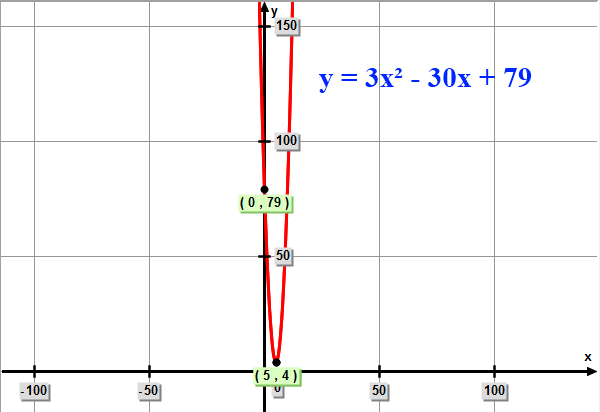 The quadratic function (a parabola) passes through the y-intercept (0,79). 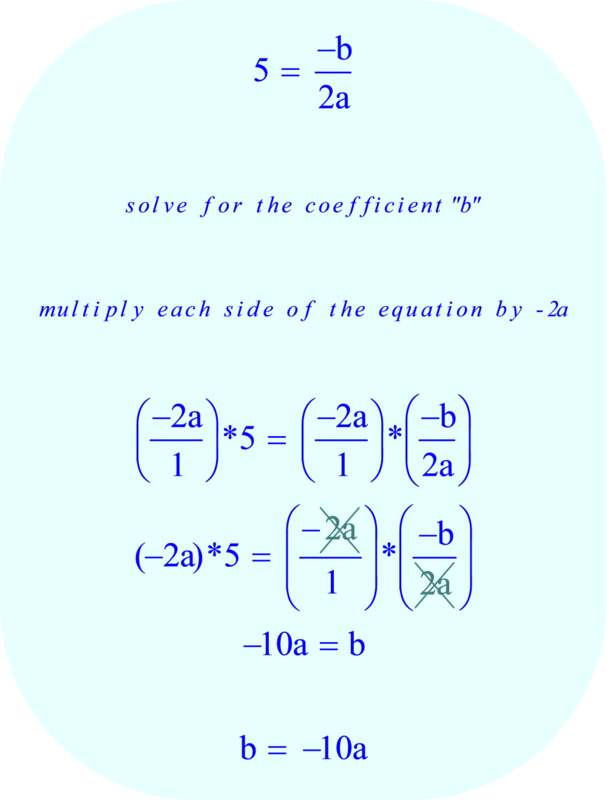 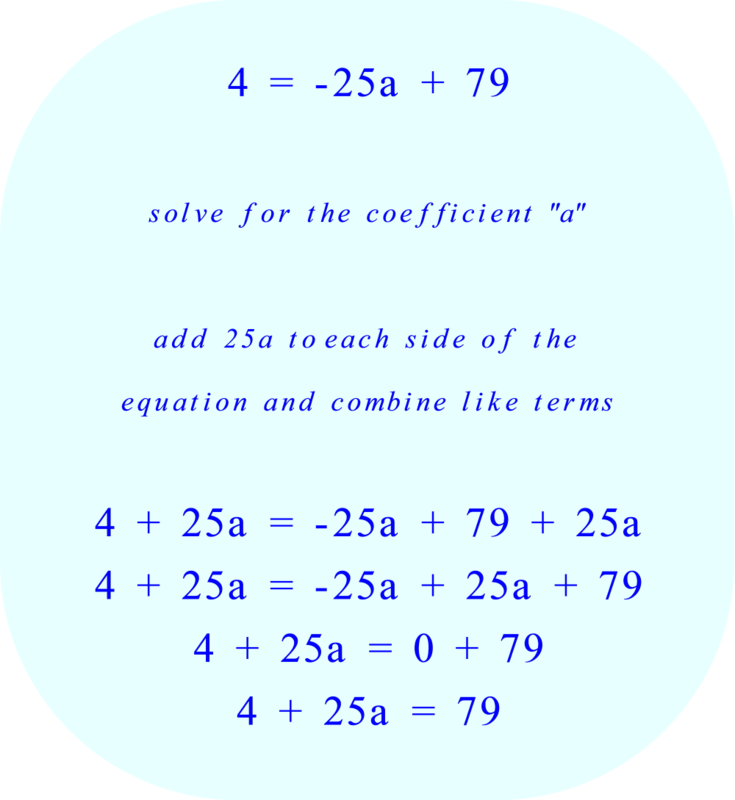 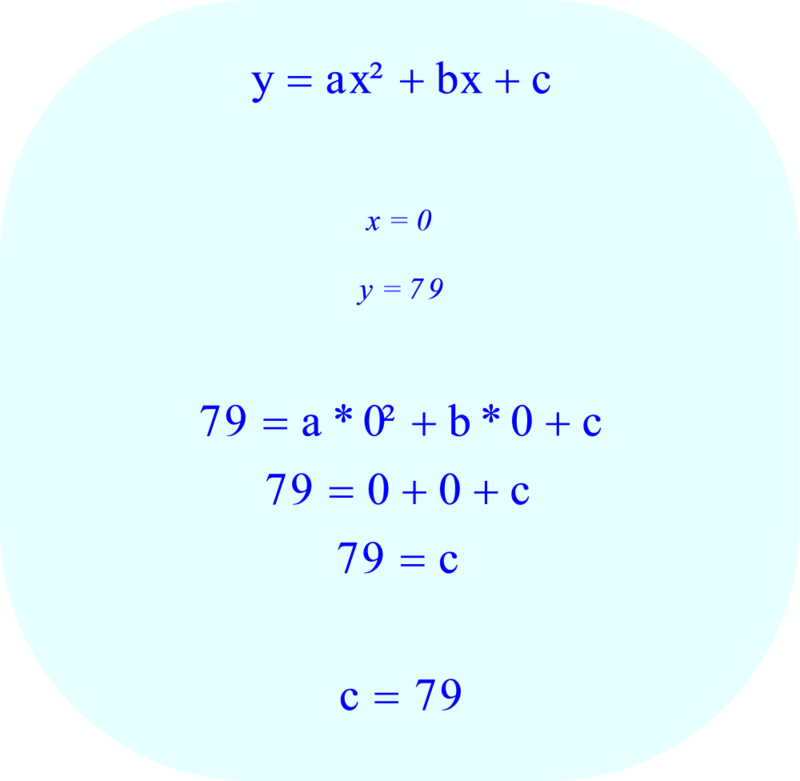 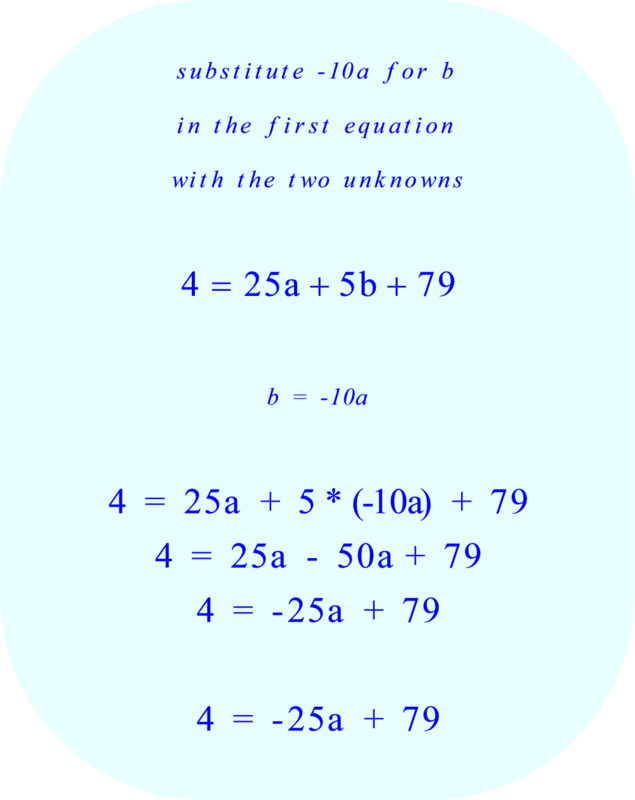 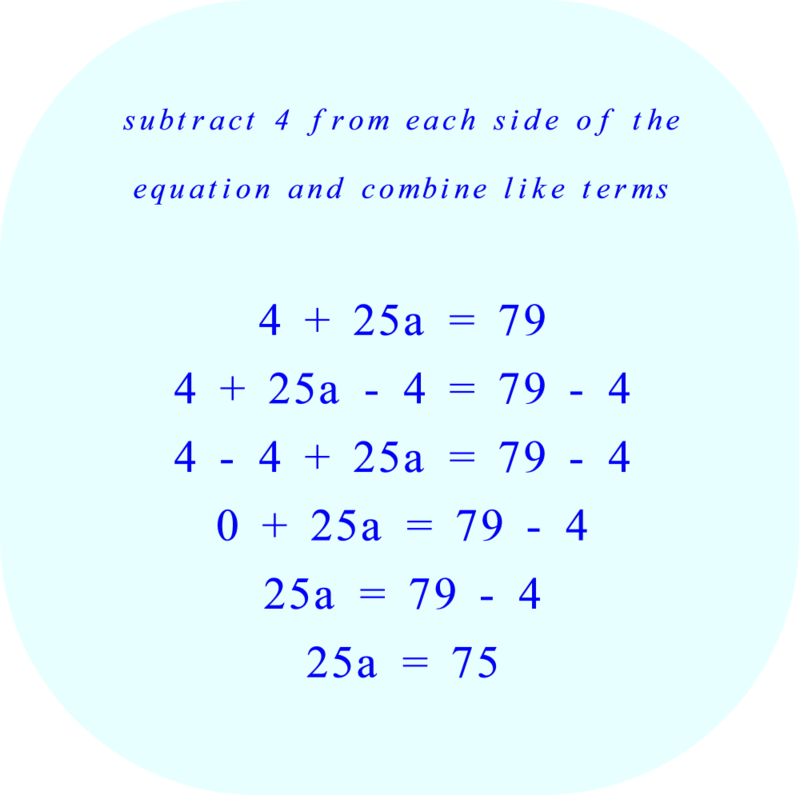 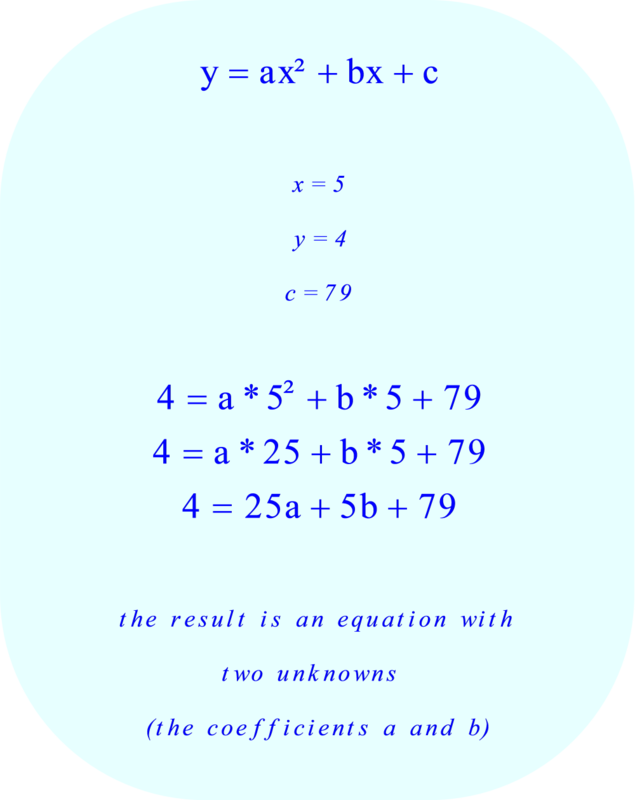 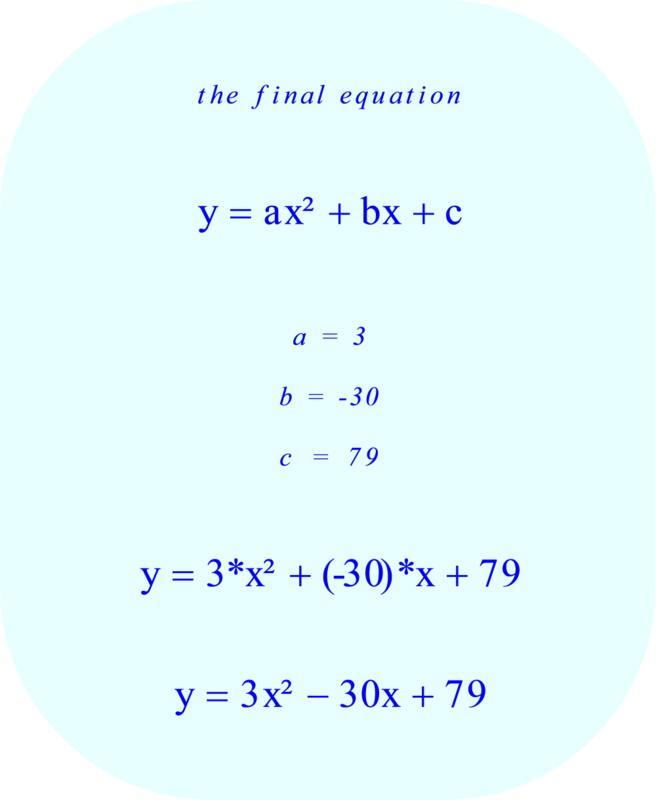 To solve for the coefficient “c”, substitute 0 for x and 79 for y in the standard form of the quadratic equation. 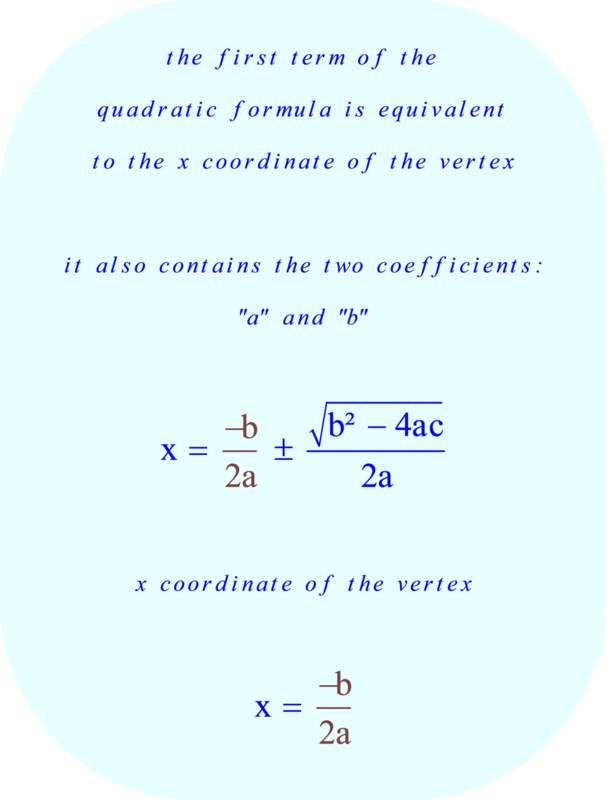 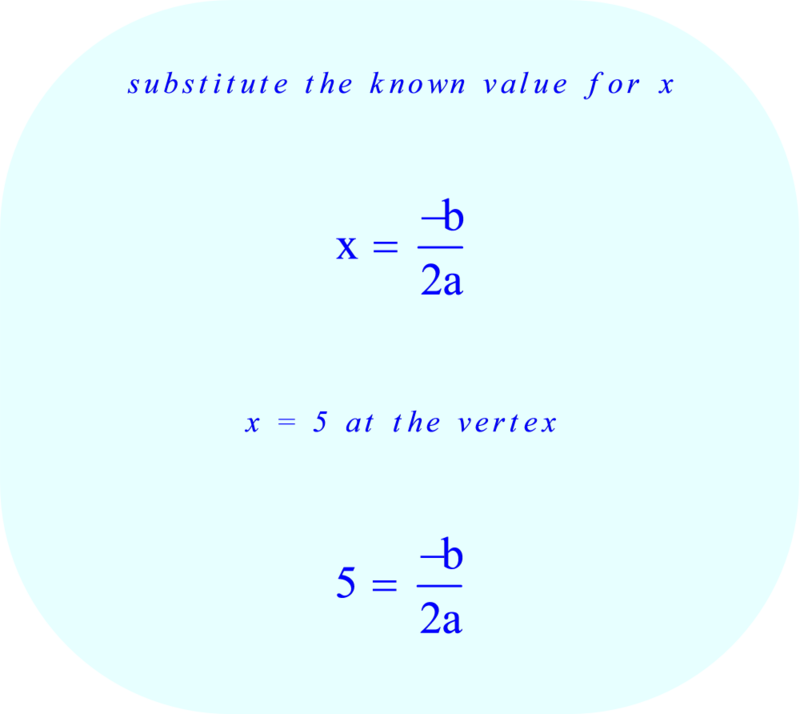 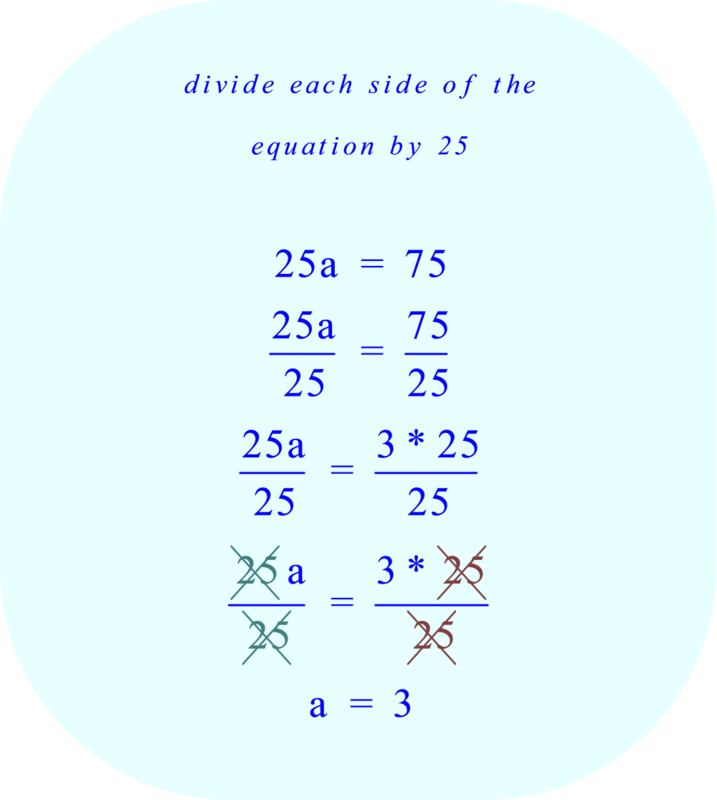 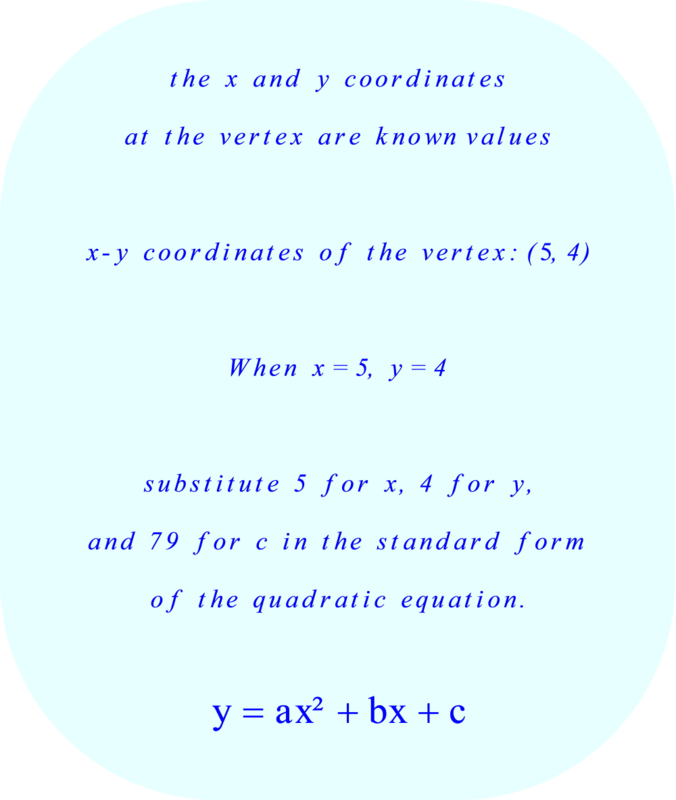 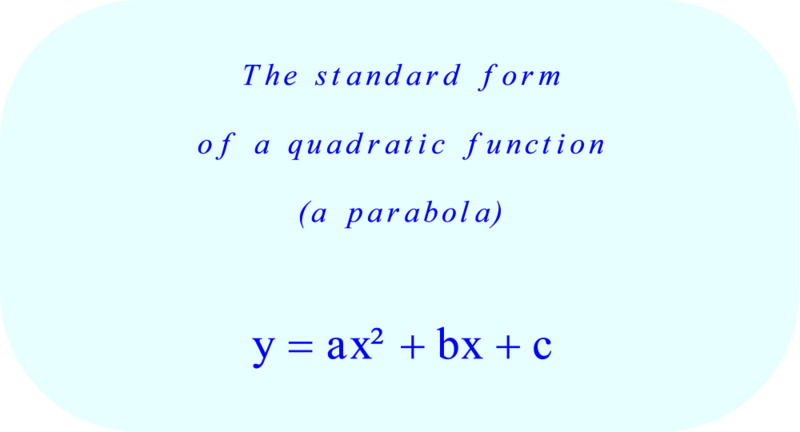 However, we also know that the first term in the quadratic formula is the x coordinate of the vertex. 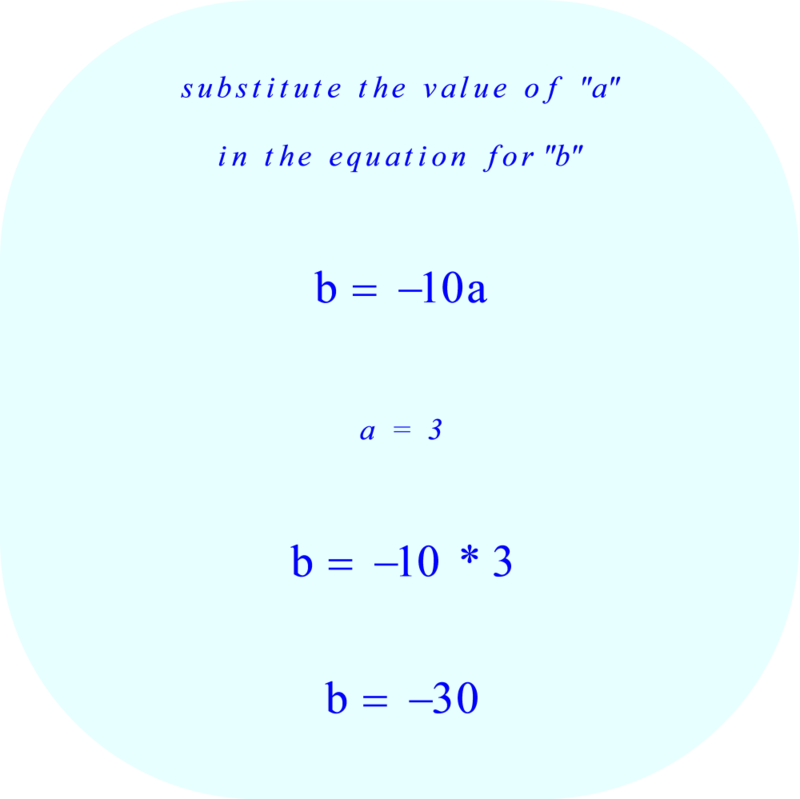 Not only that, but it contains the same two coefficients: "a" and "b"
since we computed the value of the coefficient "a" in section (ii), substitute that value for "a"